2018 has started in a whirlwind of activity here at the ortho practice. It is already February and we have seen Stephanie’s little girl welcomed to the world, and our manager’s little boy Louis has turned 2 already. Lots of celebrations and cake all round. We have recently said goodbye to long-standing team members, Tiffany and Laila. It was sad to see them go although we wish them luck and happiness in their new adventures, both up in Newcastle. The digital world gets even more amazing as we can now also monitor our patients remotely through a simple weekly set of videos taken on a smart phone. This is used with the Invisalign® digital technology so that if you are travelling or cannot make an appointment, treatment is still progressing without the urgency for a physical visit. In fact if treatment isn’t tracking, the accuracy of the system will allow us to use the videos and reset your Invisalign® treatment without the need to return for a physical scan. Please ask us if you are keen to incorporate this new innovation with your treatment. This year we also have two CPD events planned for our dentists where we will focus on treatment with Invisalign® in general practice. Invisalign® has come a long way over the last fifteen years and the digital technologies today are allowing us to expand our skills. These events bring our dentist friends together for a night of education, networking and fun. I’d like to thank all of our dentists and their teams for joining us regularly. If you are a dentist and would like an invitation to our next event in 2018, please email team@theorthopractice.com.au to go on the mailing list. We would love to hear from you. Easter is now around the corner so make sure you enter our upcoming Easter competition. 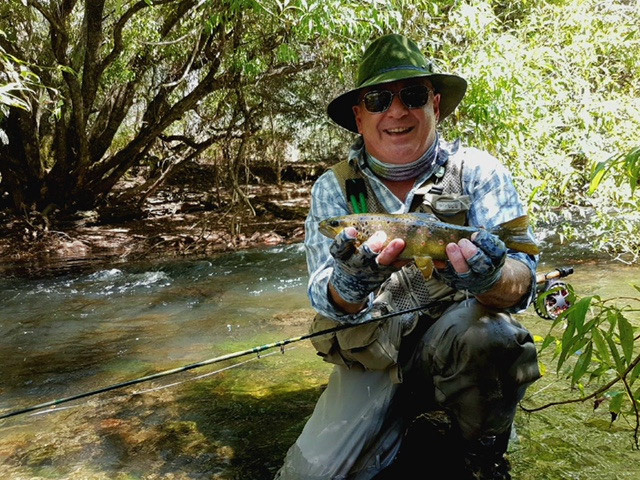 Of course the fishing is in full swing with calamari and kingfish in Sydney Harbour and trout in Tasmania. If anyone would like a chilli recipe I have a “white-hot” one to make! Of course you can make it with chillies of your taste. 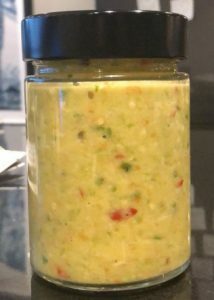 Mix chillies, ginger, turmeric, garlic in a blender with a lot of salt and vegetable oil. Blend into a paste and taste. The ginger, salt and garlic should all be present in the taste. Refrigerate. It will keep for months and is yum in stir-fries or as a marinade. It’s been a busy start to the year, but we’re loving every minute of it. We look forward to seeing you all around the practice soon.